Learn all you need to know to get started using the AJAX Control Toolkit. The AJAX Control Toolkit is an open source project developed by the members of the ASP.NET community and the ASP.NET team. After you download the file, you need to unblock the file. 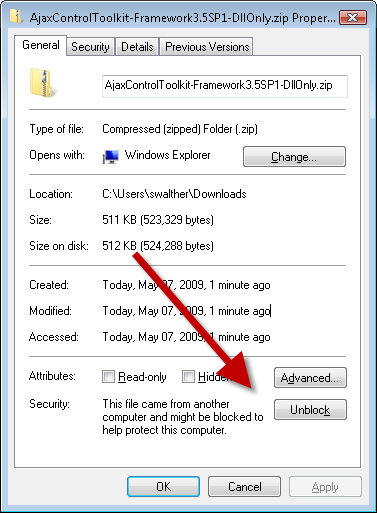 Right-click the file, select Properties, and click the Unblock button (see Figure 2). 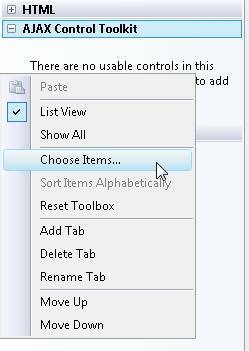 After you unblock the file, you can unzip the file: Right-click the file and select the Extract All menu option. Now, we are ready to add the toolkit to the Visual Studio/Visual Web Developer toolbox. The easiest way to use the AJAX Control Toolkit is to add the toolkit to your Visual Studio/Visual Web Developer toolbox (see Figure 3). That way, you can simply drag a toolkit control onto a page when you want to use it. 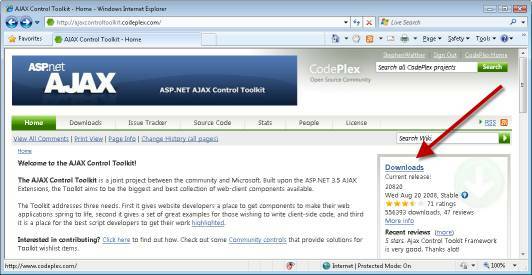 First, you need to add an AJAX Control Toolkit tab to the toolbox. Follow these steps. Create a new ASP.NET Website by selecting the menu option File, New Website. Double-click the Default.aspx in the Solution Explorer window to open the file in the editor. 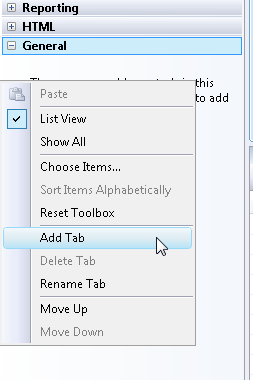 Right-click the Toolbox beneath the General Tab and select the menu option Add Tab (see Figure 4). Enter a new tab named AJAX Control Toolkit. 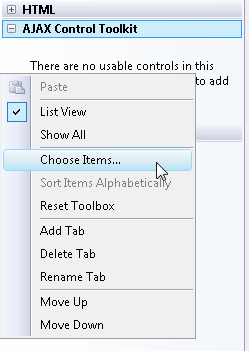 Right-click beneath the AJAX Control Toolkit tab and select the menu option Choose Items (see Figure 5). 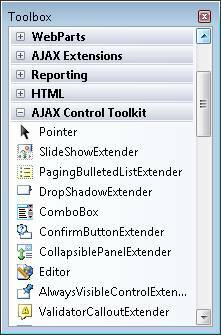 Browse to the location where you unzipped the AJAX Control Toolkit and select the AjaxControlToolkit.dll assembly. After you complete these steps, all of the toolkit controls will appear in your toolbox. Binaries - Delete the old version of the AjaxControlToolkit.dll assembly from your website Bin folder. Toolbox Items - Delete the AJAX Control Toolkit tab and follow the steps above to re-create the tab with the new version of the AjaxControlToolkit.dll assembly.